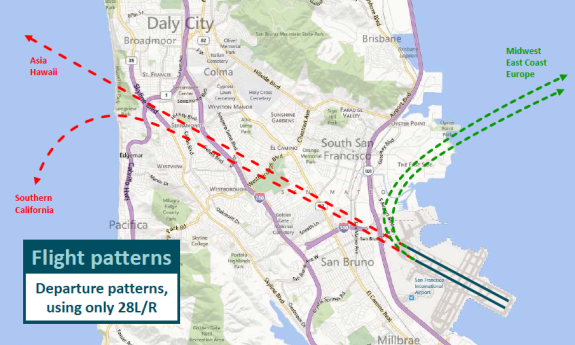 SFO’s North-South Runways 1R & 1L will close for 4 months. Arrivals and departures will use 28R & 28L. On Saturday, May 17, San Francisco International Airport closed half of its runways for four months, which could result in significant flight delays, especially for those departing during peak hours. 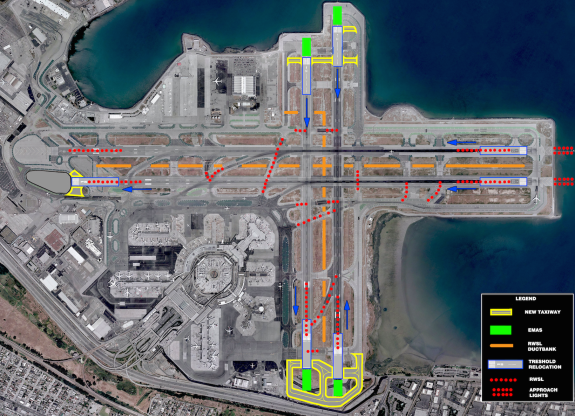 >SFO has four runways, two of which will be closed for about four months from Saturday, May 17 until mid-September. >Runways are closed so the airport can construct new, federally mandated “Runway Safety Areas” (RSAs) at the end of runways 1L and 1R. >While scheduling this work during peak summer travel season sounds insane, airport officials say that they can get the work done fastest during summer months, the Bay Area’s driest season of the year. >Inside each RSA will be large wide swaths of crushable concrete-like material known as EMAS (Engineered Materials Arrestor System), that are designed to allow aircraft that overshoot, undershoot or veer off the runway to come to safely come to a stop (and not barrel on to Highway 101 or into the Bay!). 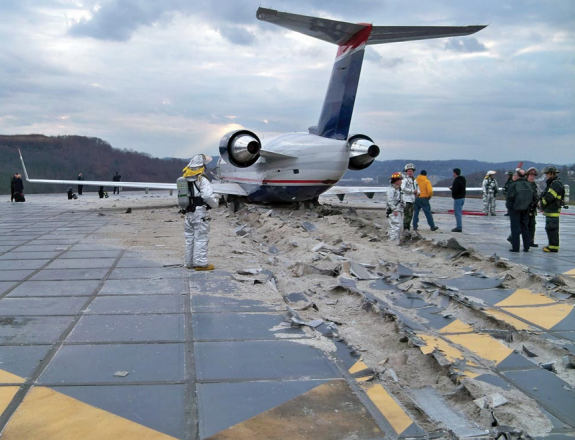 Think of them as runaway truck ramps like you see on freeways… but for planes. >SFO says that new flight procedures implemented last year to allow more planes to land during foggy conditions should help. >Arriving flights will be given priority, which means that departures are most likely to be delayed. Those delays are most likely to occur during peak hours– between 10 am and 2 pm. >The airport is implementing a metering system that will assign departure times during peak hours– this system will ensure that if your departure is delayed, you will wait at the gate area and not on the tarmac. >Runways 28L and 28R had some minor adjustments made last year to meet the spatial requirements set by the federal government. This construction only required runway shutdown for a few days. >When I asked airport spokesperson Doug Yakel if SFO’s delay problems might ever be permanently fixed by expansion into the Bay, he said no… “beyond the environmental concerns, building new runways out on the bay would simply be cost prohibitive.” He added that many of SFO’s delay issues would likely be solved by new technology instead of new runways. 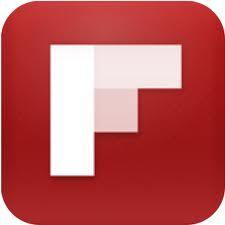 How will this news impact your summer travel plans? Are you more likely to fly to/from Oakland or San Jose? Please leave your comments below!